OUR GOAL: Increase consumption of a diversity of vegetables among consumers, especially women and children, to improve nutrition and health. Imbalanced diets lead to the death of millions of people each year, particularly in developing countries where micronutrient malnutrition is chronic and debilitating. Vegetables and fruit are important sources of micronutrients such as vitamin A, iron and other phytochemicals that are essential to good health, but consumption in most countries is well below WHO minimum recommendations of 400 grams per person per day. 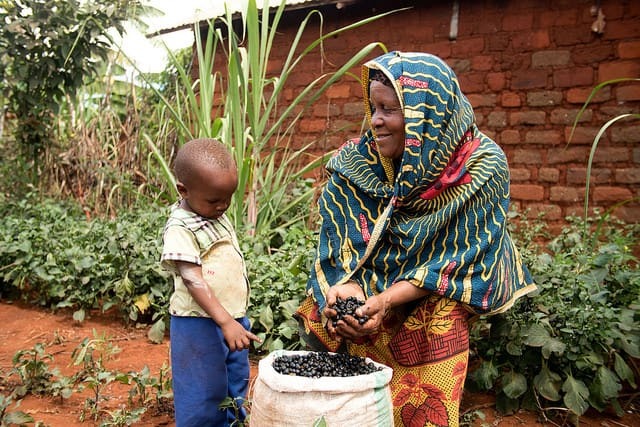 Smallholder farming families can produce a significant portion of their daily food and nutritional requirements by growing vegetables in household gardens. For urban dwellers with limited space, using container, bag, vertical and other gardening techniques can make the smallest areas productive. The Center’s analytical work has clarified the important nutritional and health benefits of traditional vegetables. We also breed nutritionally enhanced vegetables, improve traditional recipes for greater nutritional benefits, and distribute home garden seed packs for improved family nutrition and disaster relief. Develop nutritionally improved food preparation methods. Promotion campaigns, workshops and training courses on home garden production and vegetable consumption. Develop and promote home garden seed kits to poor households, NGOs, and national agricultural research and extension systems. Such crops include tomato, pepper, and cucurbits. The Center promotes their use through home gardens, NGOs, and public and private sector breeding programs. Vegetables for nutritional analysis at the WorldVeg Nutrition Lab. Globally popular vegetables like cabbage are squeezing out traditional vegetables at the market. Consumers lose out when crop choice and diversity are diminished. An Ami vendor sells traditional vegetables at a local market. Traditional vegetables are nutritionally rich and adapted to environmental stress such as flooding, salinity, drought, and pests. However, breeding of traditional vegetables has been neglected and production and marketing of these crops in some Asian countries has declined over the years. 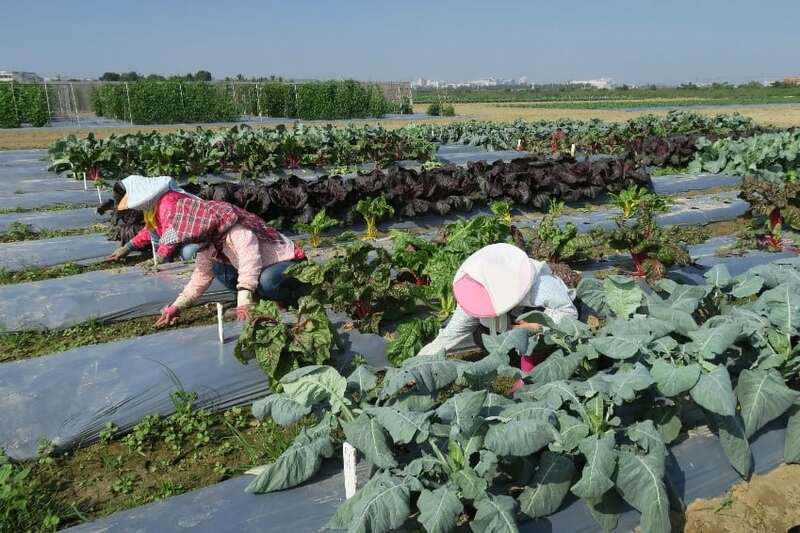 Consequently, many vegetable value chains depend on a few globally important, widely consumed vegetables such as cabbage, which often are less nutritious than the traditional types. There is a risk that the health benefits of vegetable consumption may decline in modern diets as fewer crop types and varieties are available. In 2017, WorldVeg analyzed nutritional traits of 55 traditional vegetable species commonly consumed by the Ami, a Taiwan aboriginal group, before the current/modern food system became dominant over the past 50 years. The Ami traditionally collected edible plants from the wild in eastern Taiwan, a region with diverse plant communities. Biodiversity is the foundation of phytonutrient-rich diets. 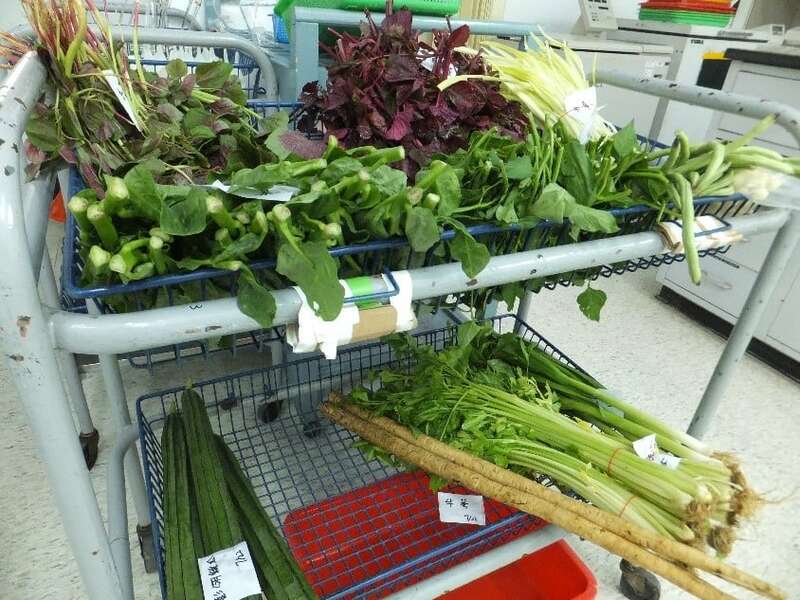 We compared the phytonutrient values of Ami traditional vegetables with the phytonutrient contents previously measured by our laboratory for 200 species of tropical Asian and African traditional vegetables, and 30 commonly consumed vegetables in Taiwan. Nutrient values of the 55 Taiwan-Ami traditional vegetables were similar to the 200 traditional vegetables that originated from tropical Asia and Africa. 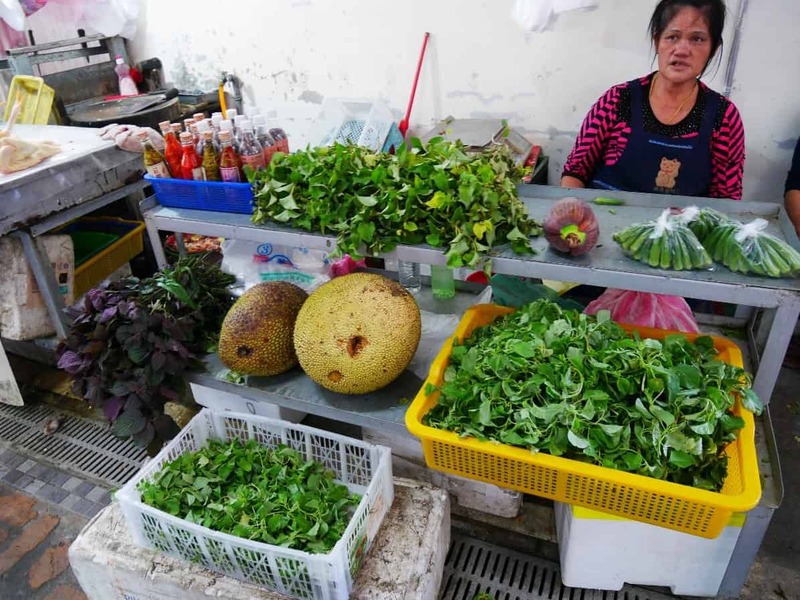 The vegetable crops commonly consumed in Taiwan today tend to have less dry matter and high sugar content, reflecting consumer taste preferences. These crops are also lower in nutrients such as protein, beta-carotene, vitamin C, minerals, and antioxidants—implying that there may be fewer nutrients available from vegetables grown in modern food systems. Reorient vegetable breeding strategies to emphasize nutritional traits as well as agronomic characteristics such as yield and disease resistance. Promote production of phytonutrient-rich underutilized vegetable crops to ensure more of these nutritious vegetables are available to enrich consumers’ diets and enhance their health. Increase vegetable consumption through awareness campaigns that stress the relationship between diet and health. Ami traditional vegetable farm in PangCah, Hualien, Taiwan. Household gardening is an age-old practice to supply a diverse range of fruit and vegetables to the home, but its potential has yet to be fully exploited. Targeted interventions to optimize household garden production and consumption practices show great potential to reduce malnutrition. 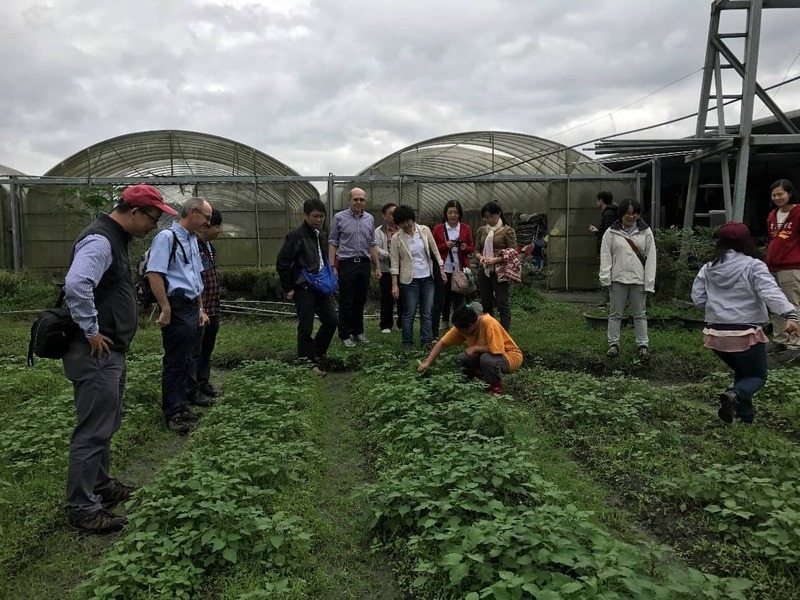 The World Vegetable Center has been involved in household gardening since the 1970s and has accrued a wealth of practical experience from various locations, crops, production systems and target groups. The World Vegetable Center’s Approach to Household Gardening for Nutrition is based on our experience and available evidence. 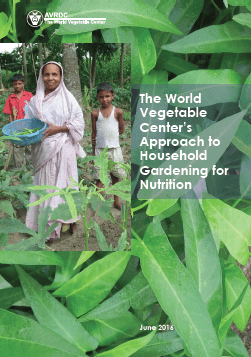 It defines the World Vegetable Center’s approach to household gardening, emphasizing three synergistic components of gardening, nutrition, and health, and support systems.